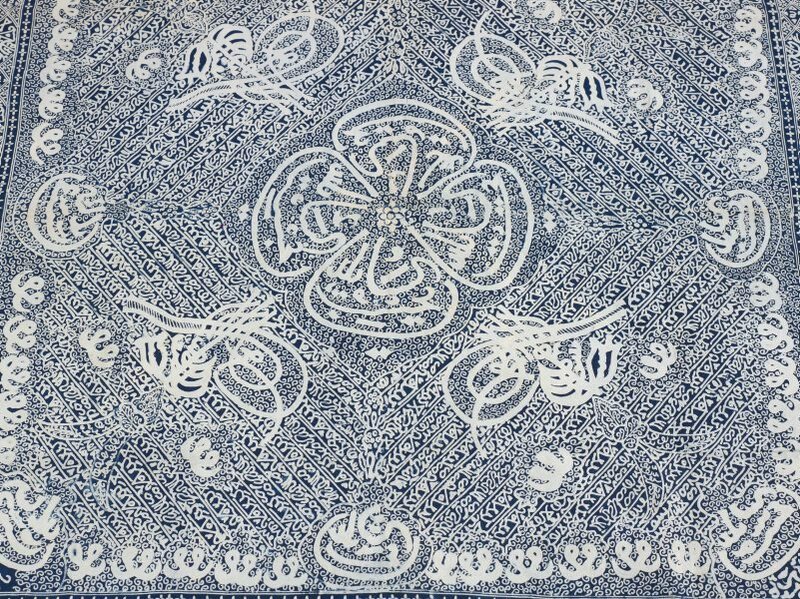 According to Michael Rogers, Honorary Curator of the Nasser D. Khalili Collection, the head cloth shows four tughras arranged around a central flower-like pattern. A tughra is a device used to authenticate Ottoman state documents and consists of the name of a Sultan, his patronymic, and the formula 'May he ever be victorious'. Rogers identified the tughras on this cloth to be reversed versions of the signs of Abdul Hamid II (1876-1918), the 34th Sultan of the Ottoman Empire(This means they would be read clearly from the reverse side of the cloth). That the sultan's tughra appears on a Southeast Asian textile is not altogether surprising as Hamid II is known to have travelled to Indonesia and to have set up an Islamic institution in Aceh. Asian Art Department, AGNSW, August 2007. 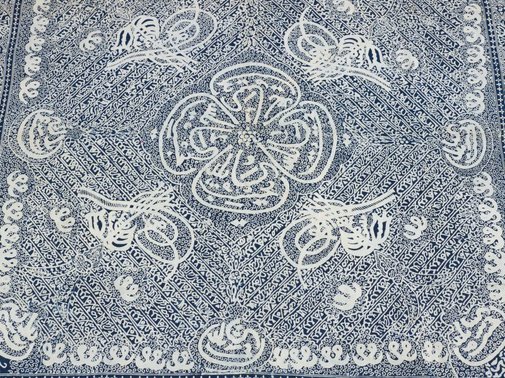 Margaret White, TAASA Review , "Calligraphic batik cloths in Southeast Asia: Meaning behind the words", pg. 22-23, Sydney, Sep 2014, 23 (colour illus. ).